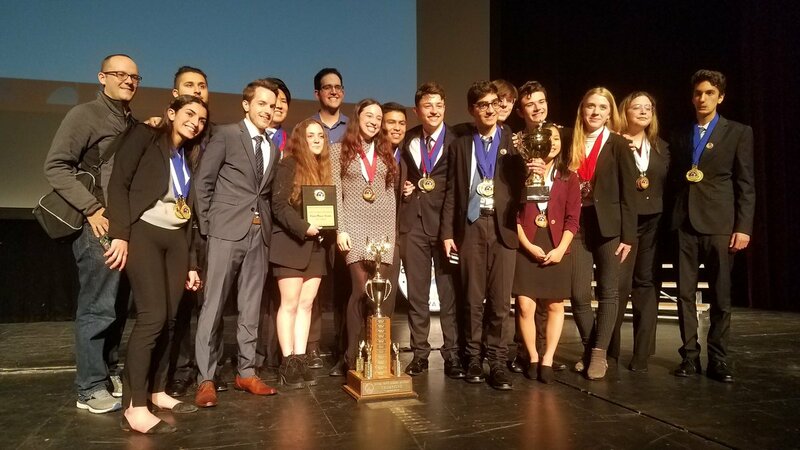 The Ventura County Office of Education is pleased to announce that the winner of the 2019 Ventura County Academic Decathlon is Calabasas High School. Coming in second place is La Reina High School, followed by Westlake High School, which came in third. Calabasas High School is also the winner of the “Super Quiz” portion of the competition. Students from twenty local high schools participated in the competition, which was held over the past two Saturdays at Pacifica High School in Oxnard. The theme of this year’s Academic Decathlon is “The 1960s: A Transformational Decade.” The winners were announced at a ceremony tonight at the Oxnard Performing Art Center. This is the third year in a row that Calabasas High School has won the Ventura County Academic Decathlon. Calabasas will now advance to the state Academic Decathlon, which will be held in March in Sacramento. The winning California team moves on to the national competition. Ventura County teams have made it to the nationals six times, placing second in 2000 and 2002, and taking first place in 1999, 2003, 2008 and 2009. A list of past winners is available at http://www.vcoe.org/Competitions/Academic-Decathlon/Past-Winners. The Academic Decathlon is an opportunity for high school students in Ventura County to compete against like teams of students countywide. Students compete in ten academic events that cover subjects ranging from art to economics. The United States Academic Decathlon is the nation’s premier scholastic competition for students from public and private high schools across the country. A unique aspect of the competition is that it’s designed to include students from all academic backgrounds. A team consists of nine full-time students from the 9th through 12th grades at the same high school. Each team is comprised of three students whose grade point average falls into the “A” category, three students in the “B” category and three students in the “C” category.